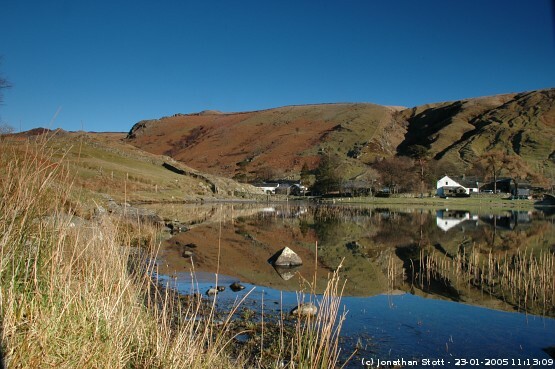 Nestling at the head of a valley and surrounded by high fells, Watendlath Tarn is a beautiful place. 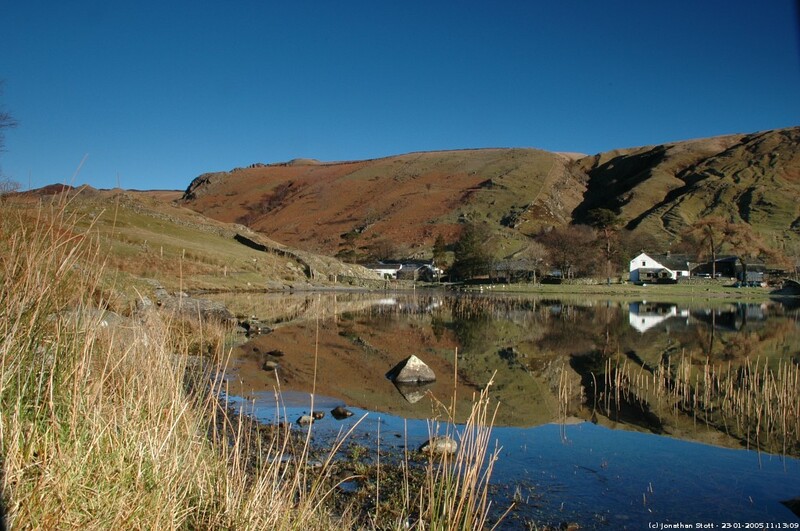 The farm sits beside the lake and next to Watendlath Beck which flows down the valley over Lodore Falls into Derwent Water. The road to Watendlath passes over Ashness Bridge. This photo was taken on a cold January morning on a walk from Rosthwaite in Borrowdale to Ashness Bridge. The vestiges of ice can just be seen close to the banks of the tarn.